It seems quite appropriate to be discussing Facebook in the same week that it hit 500 million users. Apparently if Facebook was a country it would be the third largest in the world! 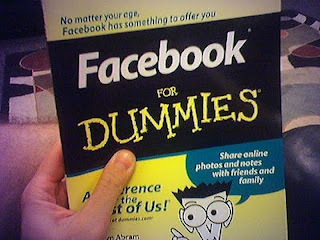 Facebook seems to be here to stay where other similar sites have come and gone. It seems the ideal tool for libraries to use to promote their services and collections. I know that the UL has various apps that can be added to a Facebook page to renew library books etc. Adding things like this to a service that people actually use seems to be a good idea. As events are added to the library's home page they appear on the news feed of the individuals Facebook page. It seems to be one way to get the message across without relying on the user to check for updates all the time. Although this is an advantage, it shouldn't be relied on as the only way to get information out. I know from personal experience that the news feed can move very fast and it can be easy to miss things - especially if you are subscribed to a lot of sites! Creating a group for a library is an interesting idea but I would worry about how to manage a large user base. It also relies on users asking to join your group which might not always get the best response. Given the popularity of Facebook and the way that it seems to have invaded everyday culture I think it would be shortsighted of libraries to ignore its potential! Very interesting and important point about possibly missing information once you start subscribing to several feeds - unless you are able [or inclined] to check them frequently. It's that managing info overload problem again, and it does raise the question as to whether, even if people subscribe to our tweets, RSS feeds or whatever, they are even really seeing the information. If someone is a fan of a medium they will presumably be gathering a lot of information on it, ergo they still have to dig back down the screen.